The cyanobacteria blooms that plague western Lake Erie each summer are both an unsightly nuisance and a potential public health hazard, producing liver toxins that can be harmful to humans and their pets. The Proceedings of the Royal Society B paper is titled "Toxins or Medicines? 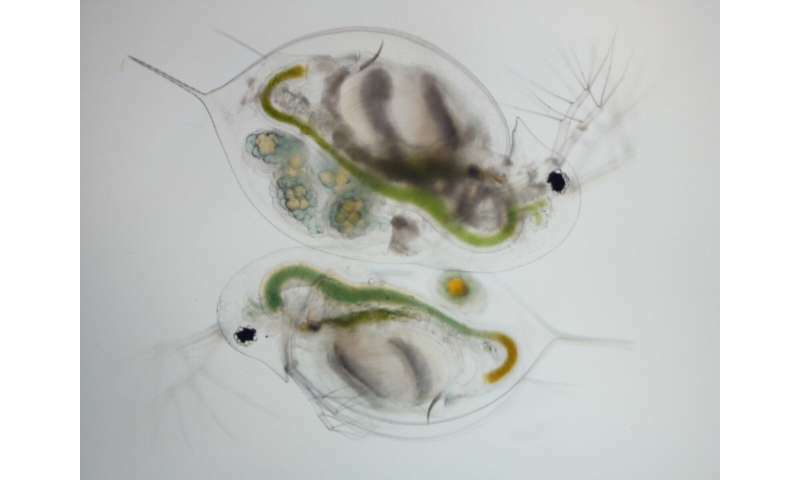 Phytoplankton diets mediate host and parasite fitness in a freshwater system."